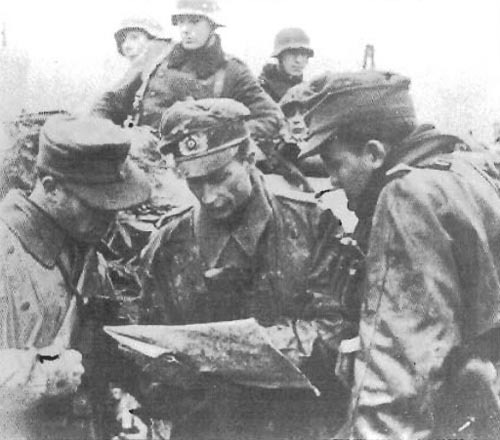 Three platoon leaders of a Panzergrenadier regiment on the Dutch border confer over the map while the troops wait in their SdKfz 251 half-tracks. Germany: Entire gold reserves (c. 100 t.) transported from Berlin to salt mine near Eisenach. Americans capture it together with Merkers on April 4.